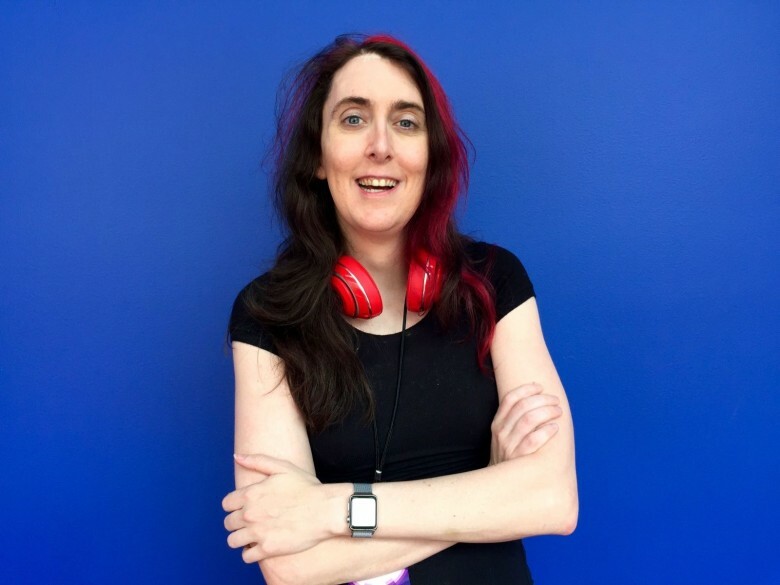 Brianna Wu, a female game developer whose life was turned upside down by Gamergate. SAN FRANCISCO — Game developer Brianna Wu’s life became the inspiration for an episode of the hit cop show, Law & Order: Special Victims Unit. While she was kinda flattered, she wasn’t entirely pleased. To get Law & Order: SVU‘s attention, your life has to be messed up one way or the other. “There’s no good way to be on Law and Order,” she joked. Wu’s life got messed up by the Gamergate controversy, in which misogynistic online harassers targeted her and other females developers who spoke up about sexism in the toxic culture of the game industry, of which she is very much a part. Now Wu, co-founder of iOS gaming company Giant Spacekat, is back — changing the industry that attacked her. Speaking at AltConf, the free alternative developers conference running in conjunction with Apple’s WWDC, Wu described what she’s been through. She received 106 death threats; had to flee her home and go into hiding; has traveled with a security detail; and canceled conference appearances over security concerns. She is the target of constant online harassment, including, at one point, a special Twitter account named @DeathtoBrianna. “It’s truly been a horrendous year,” she said. She’s been traveling constantly, speaking at conferences focused on women in tech. To top it off, she’s caught in limbo with the FBI, which still has’t brought cases against her harassers, despite a ton of evidence, she said. Asked why, she replied: “It’s just not a priority.” She’s hopeful the FBI is still gathering evidence and will one day bring prosecutions, and isn’t just stonewalling her. She wryly noted that it was quicker to get a TV show made about her case than to bring an actual case. Plus, there was resolution at the end of the hour-long show. Nonetheless, the ordeal isn’t getting her down. She’s a tall, lithe, energetic woman; an enthusiastic runner and fanatical gamer. She is dying to get back to coding and making games — her company has’t released a title this year. “I’m just trying to keep alive physically and emotionally,” she said, and the controversy has proven distracting. “I get so exhausted coming up here and spending all my professional time talking about women in tech issues,” she told the audience at AltConf. She would much rather talk about Metal for Mac. “I’m an engineer,” she said. At least her ordeal is having a positive outcome, she said: Instead of silencing her and other female critics, Gamergate thrust them into the spotlight. It’s given her an unprecedented opportunity to travel the world spreading her message. She never could have down it without an army of misogynistic haters behind her.